More than likely, most of you have read at least one Regency novel in which the heroine is the daughter of minor gentry. Her parents are well-bred and respectable, the young lady has grown up on the family’s country estate. But as the story opens, she has reached marriageable age and her parents have decided to take her to London for a season so that she has an opportunity to meet a wider circle of eligible young men. Or, perhaps, as in Georgette Heyer‘s novel, Frederica, an older sister has brought her now-orphaned siblings to London for a season. She is hopeful that her exceptionally beautiful sister might have the chance to marry well, thereby providing for her younger brothers. Regardless of their reasons for coming to the metropolis, an essential requirement for these visitors is a house in a fashionable part of town. If they do not own one, then they must rent one. But property rental practices in Regency England were rather different than those typically followed today. If you wished to rent a house in Regency London for the all-important season, you must have the deal finalized by Lady Day, or there was a very good chance you would not have a suitable residence in the city. First, the origin of the name, which reaches back into the Middle Ages. The "Lady" of Lady Day is the Virgin Mary, as it was originally known as Our Lady’s Day. This day was the Christian Feast of the Annunciation. In the Liturgical calendar, this was the day on which the Angel Gabriel announced to Mary that, despite her virgin state, she would conceive a child who would be the Son of God. The date selected for this event on the Christian calendar was 25 March, exactly nine months before Christmas, the date of the birth of Mary’s child. Lady Day was widely observed in England during the Middle Ages, so much so that in 1240, one of the canons of the Synod of Worcester forbade all servile work upon this day, with the exception of essential agricultural labor. It was also during the Middle Ages that the legal importance of Lady Day first emerged. Lady Day falls shortly after the vernal equinox, and thus became the first of the four English quarter-days. The other quarter days are Midsummer Day (24 June), Michaelmas Day (29 September), and Christmas Day (25 December). Each of these religious holidays fell conveniently close to a solstice or equinox, thus marking the changing of the seasons. Lady Day falls near the vernal equinox, Midsummer Day falls near the summer solstice, Michaelmas Day falls near the autumnal equinox, and Christmas Day falls near the winter solstice. During the Middle Ages, and for many centuries thereafter, servants were hired, leases were contracted, rents and other debts were paid at the change of seasons. Since there were few calendars to be had, and so many people were illiterate, the quarter days were set on known religious holidays. This made it much easier for people to keep track of the quarter days, since they were already familiar with these important church holy days. Tenant farm leases always ran for a year, since that length of time was needed to complete all of the complex activities of farm operations. No self-respecting farmer would walk away from his farm until his crops were sown and harvested, his animals were bred, born, sheered, slaughtered or trained to farm work, as the case may be. The only time a tenant farmer would consider moving to a new farm would be in the Spring, and if he did so, he would sign his lease for his new farm, or renew his lease on his current farm, on Lady Day. The terms of these leases would always be at least one year, from Lady Day to Lady Day, though many such leases ran for a term of several years, depending on the relationship between the farmer and his landlord. But regardless of the number of years in the term of the lease, they always began and ended on Lady Day. By the terms of some leases, the farmer would pay rent only on Lady Day, but most required that they pay one-fourth of their annual rent each quarter day. Leases for non-agricultural properties might run for a shorter term than a year, but many of them still began on Lady Day. Leases for London houses, particularly for those who were in town for the social season, would have to be negotiated and signed by Lady Day, in order for the tenant to be in residence by the start of the season. However, if a tenant only needed a London house for the duration of a single season, they may have signed just a six-month lease. In that case, their lease would have ended on Michaelmas Day, 29 September, which fell well after the end of the season. That would give them plenty of time to pack up their belongings at their leisure and vacate the premises after the social whirl was over but before their lease expired. For a single lease of one or two quarters, the tenant might be asked to pay all up front, though many paid one half at the beginning of the lease, and the second half on the next quarter day. In addition to London town houses, other non-agricultural properties, such as business premises, might be rented for less than a full year. A successful, well-established merchant might very well lease his or her shop for a term of multiple years. However, someone just starting out might choose to rent for a single quarter (three months) at a time, while they worked to build their clientele and establish their business. In such cases, the merchant would be expected to pay their rent every quarter day. Depending on the terms of the lease, even those who rented for multiple years might have to pay rent each quarter day or every other quarter day. The partial-year rental of properties included houses outside of London, for example in Bath, and less grand lodgings, even those in the metropolis, which might be let to less fashionable people. People might rent a house in Bath for a quarter or two, if they were there for a cure, or to escape the hustle and bustle of London. In most cases, they would still rent a house for some number of quarters, but unless their particular plans required it, it was not necessary to sign the contract by Lady Day. 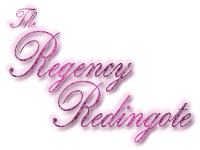 Less affluent people, in London, or any other city during the Regency, might rent lodgings on a monthly or weekly basis. In those cases, they would then have to pay their rent monthly or weekly. According to English law, landlords were required to give their tenants notice to quit based on the duration of the term of their lease. Thus, tenant farmers would have to be given a year’s notice if the landlord wanted them off the farm they were renting. Any merchant who was renting by the year would also have to be given a year’s notice to vacate. But a merchant who was renting by the quarter could be evicted with only three months notice. And those who rented monthly or weekly would only get a month or a week’s notice, depending on their agreement with the landlord. Assuming, of course, that the landlord chose to comply with the law. There were many unscrupulous landlords who rented to poor people who might evict them with little warning should the chance arise to let the same rooms for more money. Lady Day was also the day on which most servants and laborers would be hired. In addition, it was the day on which most of those servants and laborers would be paid. Some servants were paid every quarter, but for those who were only paid once a year, that payday was usually Lady Day. In rural areas, hiring fairs were held every quarter day, but most farm laborers were hired on Lady Day for a year’s work on the farm of the man who hired them. Most domestic servants were also hired on this day, certainly in rural areas. Hiring in large cities was a bit less regular and more flexible, though once hired, a servant was generally paid only on quarter days. As a quarter day, many other outstanding debts were settled on Lady Day, and interest payments were made to those who held investments. There are some interesting practices which were signaled by the arrival of Lady Day, particularly in rural communities. After Lady Day, in many country houses, no fires were permitted in any rooms, except the kitchen, and the nursery, if there were young children in the home. In some households, candles were no longer used at night beginning on Lady Day. Since this was the beginning of Spring, in most rural areas, people would be up at dawn to do the work of the farm, and would retire at dusk. Therefore they would have no need of candles at night, and the chill would be less severe than that of winter, so they would save on the cost of fuel for the fire as well. It is unlikely that these economies were practiced in the great London houses, but they might very well have been in the homes of poorer people, even in the city. Lady Day was also a very important day in the life of any goose farmer in England. For it was on that day that the farmer would commence the plucking schedule of his birds. Quills for pens were harvested from geese only once a year, right after Lady Day, since the day itself was still a holiday. Down was plucked four or five times a year, beginning right after Lady Day, as by then it was warm enough the geese would not suffer unduly without their down. The geese would be plucked again periodically through the summer, the last plucking taking place close to Michaelmas. The geese would not be plucked in the winter, as they would need their down during those months as protection against the cold. Lincolnshire was the center of goose-farming in England during the Regency, and Lady Day marked the beginning of the busy season for all the goose farmers of the shire. England, beware of some mishap! This coincidence of dates occurred in 1818, when Easter fell on the earliest possible date, 22 March, with Lady Day only three days later. Many people believed this occurrence was the cause of the death of Queen Charlotte, on 17 November of that year. However, Lady Day fell during the Easter season in both 1853 and 1864, and there were no serious misadventures for England in either of those years. There was a Lady Day tradition which was well-established at St. Albans by the beginning of the Regency. According to legend, a noble lady and her entourage were traveling along the Great North Road when they lost their way on a particularly dark night. In the distance they saw the lights of the clock tower on the hilltop, which enabled them to make their way safely to the monastery where they were given shelter for the night. Out of gratitude, the lady provided a gift of money to the monks, which was to be used for an annual distribution, on Lady Day, of cakes for the poor of the area. Appropriately, these cakes were made in the shape of a lady. Available evidence indicates these cakes were still being distributed on Lady Day during the Regency. By the mid-nineteenth century, however, this free distribution had stopped, but cakes in the shape of ladies, then called "Pope Ladies," were made and sold in St. Albans on Lady Day. The postman carried the letter to Foley-place, where he duly delivered it to the home of Lady Day, the lady for whom it was intended. Though most of us today are completely oblivious to Lady Day, it was a particularly important day in the Regency calendar. Should you ever come across a mention of Lady Day in a Regency novel, you will now know more about the significance of the day. It was the Feast of the Annunciation, it had once been the English New Year’s Day, and it was the first and most important of the English quarter days. Most servants were hired and paid on this day, most leases were signed on this day, most rents were paid, as well as most other debts. Some households ceased using candles and lighting fires in most rooms on this day, not to resume until Michaelmas Day. And geese all across England began loosing their feathers. And there were those who would worry all year, should Lady Day fall near to Easter. I cannot think of a single day on the modern calendar which carries such a plethora of meaning. This entry was posted in Politics & Law and tagged Georgette Heyer, Regency, Time. Bookmark the permalink.